Ever since one of my best friends got engaged, all I have been thinking about is weddings, weddings, weddings! Well, I've always thought that way, but now I have an excuse to think about weddings all day, every day. My group of girlfriends from high school are all bridesmaids, and I want it to be July 13, 2013 now. With Felicia's engagement party coming up, I've been searching for the perfect fun gift for a bride! Of course I turned to Pinterest and found some great ideas. Now Pinterest just needs to let me have a private board so she doesn't see! Here are some things I've been loving. I love this so much I want to get it for myself. I love the color scheme (possible wedding colors?) and I think anything with the bride's new monogram is the perfect touch for a bride-to-be! Marley Lilly is my favorite place to get monogrammed gifts, so I will probably buy a bunch and attempt to make it look as gorgeous as this! Plus, she can sip wine out of that adorable wine glass while flipping through the bridal magazine! Another basket I love, but this one has a ring pop! Too cute! These are a must for any bridal basket, in my humble opinion. This cracks me up every time I see it. Gotta make sure that groom knows his place! As adorable as these pillows are, I would love to find these in mugs or koozies that the bride and groom can laugh at for years to come. 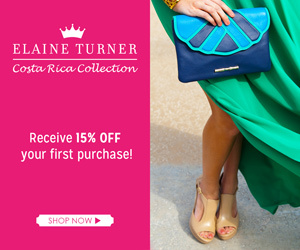 Do you have any great gift ideas for a newly engaged bride? I'd love to hear your advice! Suuuper cute, I've been seeing a lot of these fun baskets on Pinterest lately too-- and wishing someone would have gotten me one ;) My brother-in-law and his girlfriend have been dating 3 years so I'm hoping he pops the question soon, lol! She has become one of my best friends and I cant WAIT to do something like this for her!! these ideas are SO CUTE!!! i love the ring pop idea hahah that is so damn cute! these are all great ideas girl! My friend just got engaged too! These are great ideas!!! Love them! 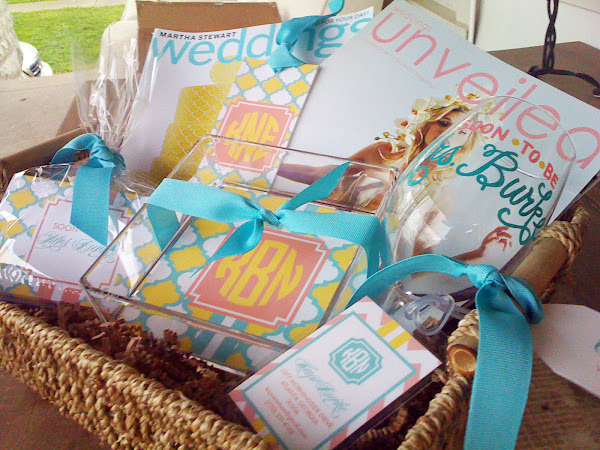 I love the idea of a cute bridal gift basket, I know I would love to receive that! Also those mugs are beyond cute. Loving your blog, I'm your newest follower! All of these ideas are super adorable! I especially love the first gift basket! I got two coffee Mugs with Mr. right and Mrs. Always right...I love them! Making a basket is a wonderful idea...really gets the future bride to be even more excited! These are all such great ideas! I love all things monogrammed! A bride and a bromance. Bachelorette Finale- No Spoilers, promise! Holler if you're ready for some summer nights!